Frank Bourgeois switch backside tail blut pop over to backside lipslide in Quebec, Canada. 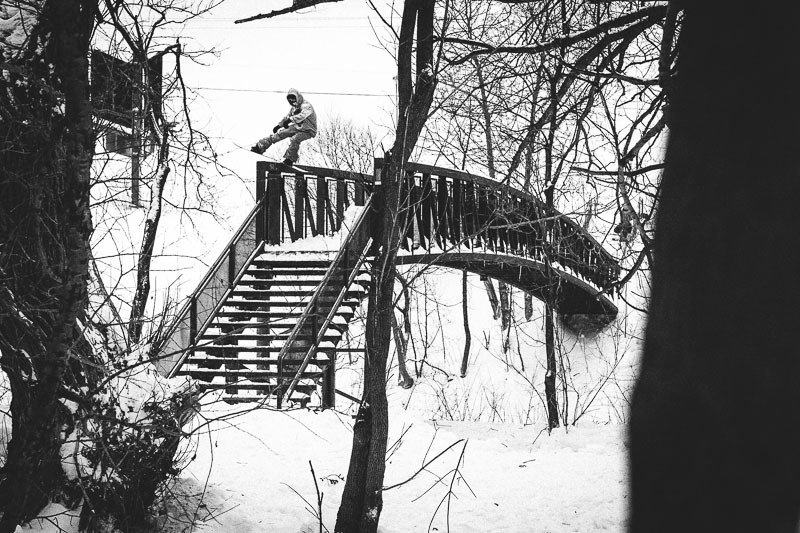 Frank Bourgeois is a mean snowboarder hailing from Quebec, Canada and although you might not be able to pronounce his last name you won’t forget it anytime soon after watching his Stairsmasters 2014 part below. The photograph above I shot during my trip to Canada with Frank and the Brothers Factory crew. It is the first one images to be released from the trip with the rest appearing in snowboard magazines this coming winter.